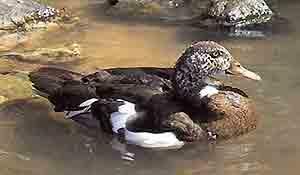 Justification: This forest duck is listed as Endangered because it has a very small and fragmented population which is undergoing a very rapid and continuing decline as a result of deforestation, wetland drainage and hunting. BirdLife International 2006. Cairina scutulata. In: IUCN 2007. 2007 IUCN Red List of Threatened Species. <www.iucnredlist.org>. Downloaded on 15 April 2008.. 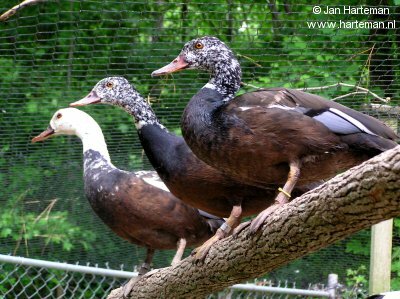 In 1997 it was estimated that there were only 450 birds left in the wild and spread between Laos, Thailand, Vietnam, Cambodia, Indonesia (Sumatra), India and Myanmar. It is thought to now be extinct in Malaysia and Java. where it depends on trees for roosting and nesting. on seeds, grain, rice, snails and fish. It has suffered from loss of habitat and hunting pressure. 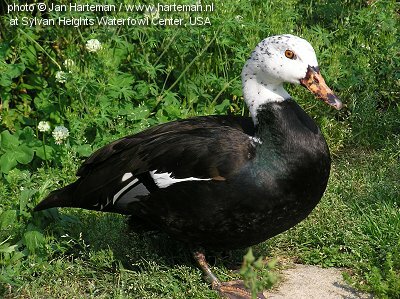 usually placed in the genus Cairina and allied with the dabbling ducks. Identification 66-81 cm. 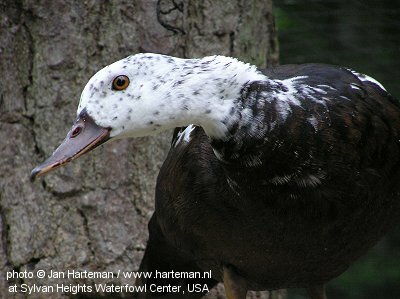 Large, dark, forest duck with contrasting whitish head and upper neck. 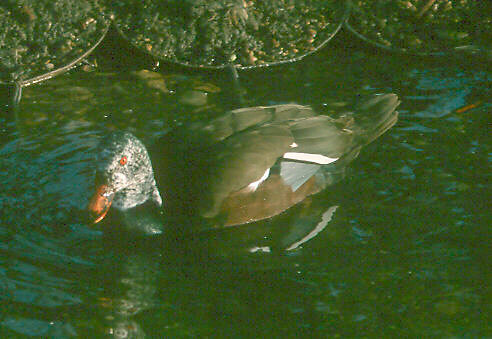 white lesser and median coverts and inner edges of tertials and bluish-grey secondaries. 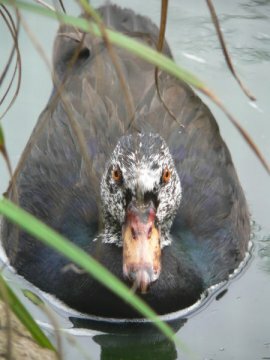 usually have more densely mottled head and upper neck. Juvenile is duller and browner. on which it depends for roosting and nesting, usually in tree-holes. especially on plateaux supporting sluggish perennial rivers and pools. in response to low water-levels.